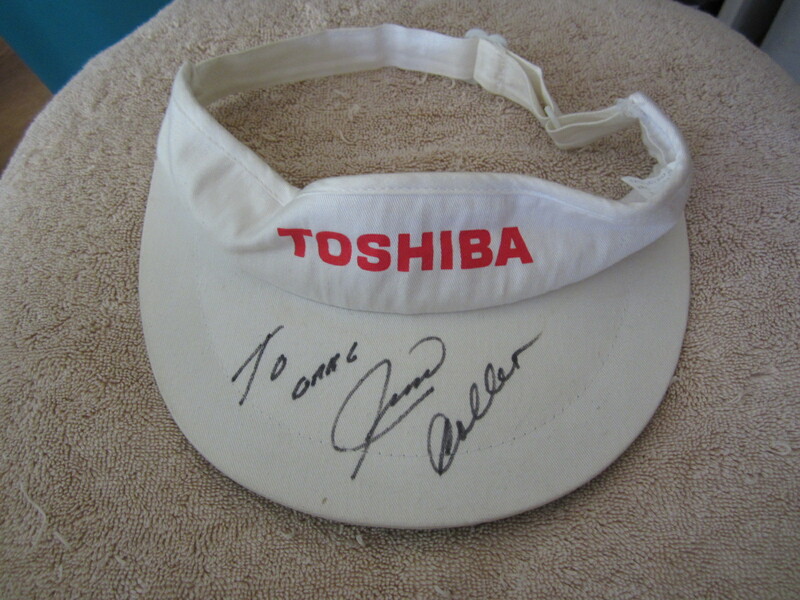 White Toshiba Senior Classic golf visor autographed on the bill in black marker by Jim Colbert (personalized To GREG), who won this tournament at Newport Beach Country Club in 1996. Obtained in person, with certificate of authenticity from AutographsForSale.com. Has minor flaws and wear. ONLY ONE AVAILABLE FOR SALE.